More than sixty years had passed since the last major conflict between Persia and Eastern Rome, but the Anastasian War (502 – 506) was to become the first of many. From her major staging point (Nisibis) Persia had seized a number of key fortresses which were eventually re-taken during the long struggle. A brief armistice was made to counter the Hunnic invasion of Armenia. Two years later a negotiated peace treaty was signed and Rome sought to correct the military shortcoming on the frontier by building a major base at Dara to counter Nisibis. The duration of the peace treaty ending the Anastasian War was set for seven years, in reality it lasted for twenty. A question of Persian royal succession and the defection of the Iberian King Gourgen broke the peace. At the opening of the Iberian War, little fighting was done between Byzantine and Persian troops as allies were recruited to serve both sides; Huns fought on both sides in the north and Arabs in the south. Justinian succeeds to the throne and to effectively defend the eastern borders Western Armenia was reorganized as a military zone which included First, Second and Inner Armenia. The former Armenian regiments now became part of the Imperial military thereby eliminating the civil administrative functions held by Greek and Armenian nakharars. 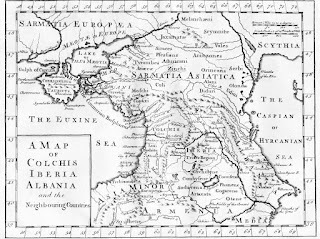 To counter the Persian threat in the north (Armenia) and south (Mesopotamia), Justinian divided the magister militum of the East in two a creating a separate magister militum of Armenia. The victory at Dara (530) followed by a defeat at Callinicum (531) forced Justinian to re-open negotiations. The Persian King Khavad dies and is succeeded by his son Khosrow I who concludes a treaty with Justinian. Justinian returned to the reorganization of Western Armenia intent on making it a province within the Empire. 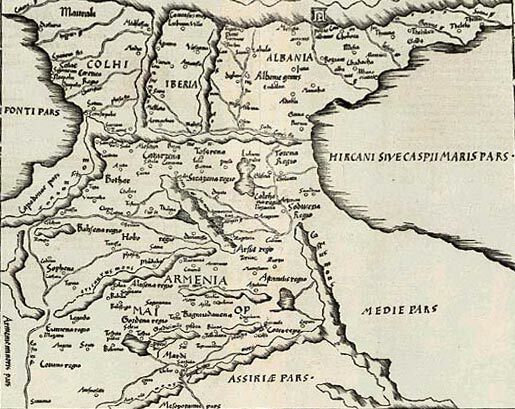 No longer sub-divided, Armenia now became one province and the institution of new laws were clearly designed to integrate Western Armenia into Byzantine authority. The reduction of nakharar authority and increased taxes stirred discontent in Western Armenia. Key figures among the Armenian royal houses combined their forces to begin an insurrection. They managed to sweep the Byzantines out of Western Armenia, destroying a number of Imperial regiments. The revolt was crushed by the arrival of a large Byzantine force capturing many Armenian nakharars to be either executed or exiled. In Persian Armenia, similar changes were taking place; heavier taxes and economic and political exemptions for the nakharars were greatly reduced. The Persian Marzban Souren provoked the masses by erecting religious shrines. In response, the Armenian chiefs sought the assistance of Byzantium to liberate Eastern Armenia if they rose in revolt. At the outbreak of the rebellion, the Marzban Souren was slain sending other Persian officials and soldiers to flee. Resistance continued for two years against Persian forces without Byzantine aid forcing key Armenian to Constantinople to renew their plea. With the Huns renewing their activity on Persia’s eastern frontier, Byzantium declared war against Persia. After seven years, the Byzantine were less than successful forcing them to seek peace with Ormuzd IV. The terms of the treaty did not satisfy Ormuzd IV, so hostilities were renewed. Byzantine fortunes turned for the better with the new emperor Maurice. Invading Persia, the war was brought to a successful conclusion and supporting the claim of Khosrov II restored him to the throne in 591. In return for Byzantine aid, the new Persian King gave a major part of Armenia extending its eastern border from Lake Van to Nissibin. As part of the agreement Armenian soldiers would be relocated to other parts of their respective empires in an attempt to diffuse any future friction. Maurice is assassinated by the usurper Phocas, which gave the Persians an opportunity to denounce the treaty of 591 and reclaim lost territories. Persia successfully occupied Syria and Egypt but Byzantine fortunes returned when Heraclius seized the throne in 610. Heraclius’ first attempt to regain a foothold in Armenia was less than successful, but a second campaign two years later swept the Persian army from the Armenian highlands to the Tigris winning a decisive victory. The reverses in the field generated disorder among the Persian elite prompting the assignation of Khosrov II. His son, Kavad concluded a new treaty and with it a greater part of Armenia passed into the Byzantine Empire in 627. Map: Armenia maior, Colchis, Iberia, Albania source Armenica.org. Procopius; Dewing, H. B. (trans.). History of the Wars. Books I–II. Belisarius the Last Roman General by Ian Hughes. History of Armenia by Vahan M. Kurkijan. Byzantine Military blog, various articles on Byzantine and Armenian topics. Armenia - Between Two Empires (part 1). Shapur II claims Mesopotamia and Armenia forcing Arshak, King of Armenia to flee. Loyalties of the Armenian nobles are split between accepting Persian dominance or remain with the West. King Arshak meets with Constantius, but the emperor dies before the conclusion of any agreement. Julian, now emperor, launches a campaign against Persia but dies during the campaign leaving his successor Jovianus to concede a humiliating treaty giving up gains made during the campaign and the cessation of support to Armenia. 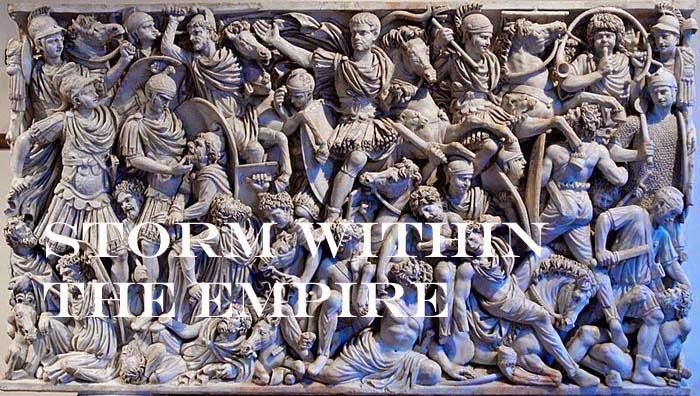 The Roman Empire now split in two spheres, the Armenians renewed their appeal for assistance with eastern Rome. 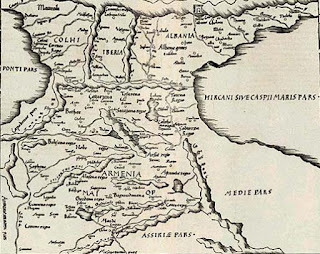 Negotiations stumbled over a number of issues including religious ones prompting Rome to conclude a treaty with Persia essentially leaving Armenia to her own devices. Vassak Mamikonian continues the struggle against Persia devastating the districts of Sophene and Akilisene. The Persians pin Vassak in the province of Ararat and King Arshak makes an appeal to Shahpur for a reconciliation to which the King of Persia accepts. During the royal welcome and feast, King Arshak was seized and sent to the fortress of Oblivion (Anhoush berd) were he met his end. The son of the slain king and exiled in Constantinople, Pap returned to Armenia escorted by an Imperial legion. 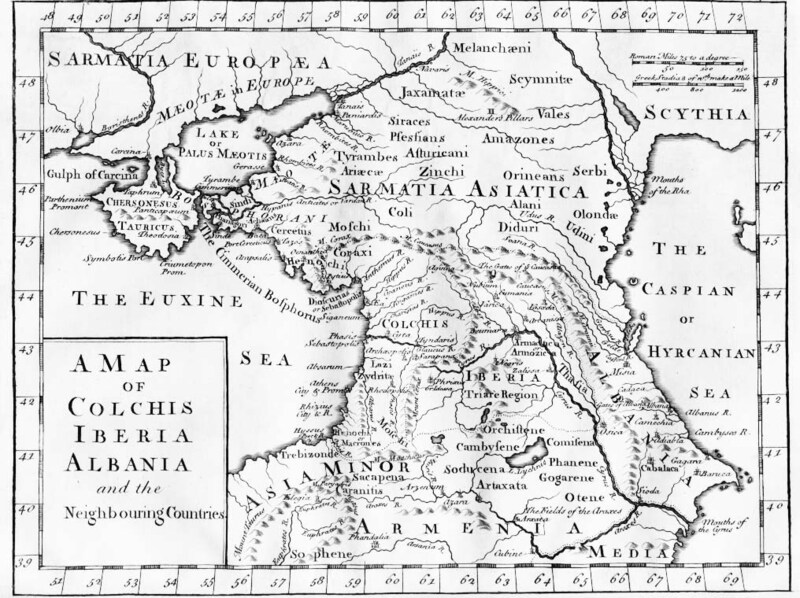 The Jovianus treaty, which had left Armenia to the mercy of Persia, was now revoked by Valens. Under Roman suzerainty the young king had to overcome conflicts with unruly nobles and the recurring friction between Church and state. To resolve the issue, Theodosius the Great and Shahpur III concluded the partition of Armenia with the larger portion becoming a vassal state under Persian suzerainty and the smaller portion formed a Roman province. Khosrov appointed King of Armenia by Shapur III exceeds his authority during his six year period and is replaced by his brother Vramshapouh. Vramshapouh won the confidence of Shapur III as well as of the pro-Roman party of his country. With the accession of Yazdegert I, Vramshapouh’s reign would confront new trials. Abda, a fanatical Assyrian bishop, set fire to a Mazdeian temple in Susa. Overnight, the tolerance shown toward Christians is irreparably damaged. The new Persian king, Bahram V is confronted by Rome for the persecution of Christians in Armenia. His first expedition into Armenia under Mihr-Nerseh meets with defeat and Bahram V is forced to suspend operations. A peace treaty ensuring tolerance to both parties in each Armenia was signed. Bahram V placed Artashir, the son of Vramshapouh, as the King of Armenia. Artashir proved incapable of coping with the intractable aristocracy and was summoned to Ctesiphon and later deprived of his title and power. Armenia was now reduced in status to a Persian province ending the 376 rule of the Armenian-Arshakid dynasty. Armenia was now governed by Marzbans. Nominated by the Persian King, a Marzban was invested with supreme power, but he could not interfere with the age-long privileges of the Armenian nakharars which included the retaining an army to protect their domains. To an extent, the province of Armenia enjoyed certain autonomy; maintaining its own courts, schools and maintaining a military force. The question of religious freedom became a source of friction during a number of periods as Christianity was seen to bring Armenia closer to Byzantium. On three occasions this escalated to a situation requiring excessive methods to control. King Yazdegert II (438‑457) was set on a path to revive the empire of Cyrus and to place all Asia under Persian influence. He began with repudiating the Hundred Years' Treaty of 420 and invaded the Byzantine territories of Mesopotamia destroying a number of cities, burning churches and seizing captives. Unable to counter the Persian threat, the Emperor Theodosius II concluded a peace treaty which included the surrender of Persian Christians who had taken refuge in the Byzantine domain. Yazdegert II now campaigned against the Kushans. The long struggle ended after dealing the Kushans a severe defeat at Marvroud, near the River Murghab. Next, Yazdegert II blocked the passages through the Caucasian Mountains to stop the incursions by the Mazkouts or Black Huns. To do this, the great wall called the Jora Bahag or Gate of Jor-Derbend was re-built. Returning to internal issues, Yazdegert II viewed the Christians of Armenia as a problem as their ties with Eastern Rome exerted an influence over the northern territories including the mountain Kingdoms of Iberia and Albania. Against the advice of counselors, Yazdegert II imposed heavy taxes and appointing Mazdeian mages to key judicial posts. This did not hasten the result expected so an edict was made forcing Armenians to ‘give up’ Christianity. An assembly of bishops and nakharars rejected the edict forcing Yazdegert II to call the chief dignitaries of Armenia to Ctesiphon. Threatened with imprisonment the delegation returned to Armenia accompanied by 700 magi who were given the task of converting the entire country in twelve months. The experiment proved unworkable and in July the peasants of Douin rose in revolt driving the Mages off. Yazdegert II had rushed an army to Trans-Caucasia to block any assistance from those parts. The Armenians gathered forces to defend key locations and sent a delegation to Constantinople for aid. Not wanting to antagonize the King of Persia, Constantinople refused aid as it was too occupied with a major threat coming from the Huns. A civil war ensued with pro-Persia followers from central Armenia faced a pro-West faction lead by Vardan. The conflict turned against Vardan who sent a last appeal to Yazdegert II pledging Armenian loyalty if religious freedom could be observed. Returning from a less than successful campaign against the Kushans, Yazdegert accepted the reconciliation from Vardan and declared a general amnesty. The reconciliation was received with mixed feeling by the Nationalists and their suspicions proved correct as hostilities resumed in the spring with Imperial troops under Mihr-Nerseh crossing the Arax River to seize the Caucasus defiles blocking any assistance by the tribal allies of the Armenians. Now isolated, the Armenians faced their greatest crisis as the Persian King had been assured of the absolute neutrality of the Byzantine government. Despite the bleak outlook, Vardan and his colleagues assemble all their forces for a final confrontation in the vicinity of Artaz. On the plain of Avarair an outnumbered Armenian army met the Sassanid host. The result was a Pyrrhic victory for the Sassanid as the Armenians remained defiant and continued the war. Confronted by pressing issues elsewhere, Yazdegert II ordered the Marzban Muskhan to cease hostilities and declare a general amnesty. Unconvinced of its sincerity, the war continued with much guerilla activity with the Persians suffering a number of setbacks. Another solution was needed. To resolve the conflict a number of pro-Persian Armenian leaders responsible by starting the conflict through their treacherous actions, they were summoned to Ctesiphon for trial. Those found guilty were stripped of their offices and imprisoned. During this period, the Kushans made another incursion into Persia prompting Yazdegert II to ready a third expedition. This met with a number of reverses including friction within the army and the King being chastised by the Magi for the offenses committed in Armenia. Peroz, the eldest son of Yazdegert II ascended the throne in 459 and used persuasive means to bring the Armenians into the state religion. Showered with gifts and promotions King Perez lured new followers that many Armenians viewed the rise of a pro-Persian party as a serious threat. King Vakhtank of Iberia (Georgia) revolted against Persia which moved Armenian nakharars (nobles) to urge Vahan to join the Iberians which he did. Hearing of the revolt, the Persian Marzban eluded capture but lost possession of the treasury. In the four years following, the Armenians were victorious in a number of engagements; Agori, Nersehapat, Erez and Shdev and guerilla warfare continued in not only Armenia but also in Iberia. Valash resolved the Armenian question leading to the Treaty of Nuvarsak. This set a compromise between the court of Ctesiphon and the Armenian clergy and nobility. Vahan was appointed Marzban (485 – 505) affording Armenia a period of peace and prosperity. In contrast, Persia was occupied with pressing issues; internal unrest and conflict against Byzantium. Adding the Early Byzantine to the collection, primarily as opponents for my Sassanid, I began looking at other armies to collect and Armenia of the same period surfaced to the top. I must confess I know very little about Armenia of this sub-list other than it seemed its presence worked as a magnet to pull the major players (Byzantine & Sassanid) and a number of minor ones (Iberia, Albania, Arabs and Huns) into conflict. After several weeks of scouring the Internet I decided to bring order to all the loose pieces of information and construct a timeline. What I found is a treasure trove of political events which sparked military episodes begging to be made into historical scenarios. The timeline is long and therefore will be presented in two parts. A third part describing some of the major battles might prove useful; however, this might change to a series of historical battles such as I have done earlier for the Migration to Kingdom project. Timeline Armenia – part 1 (tomorrow). Historical Match up – Early Byzantine vs. Burgundian Army. During Belisarius’ last campaign, the Burgundian army invaded northern Italia. The Burgundians have few cavalry and therefore place their strength on the combination of tribesmen (4Wb) and their levies (Sp). The battlefield was quite compact that only the Burgundian could deploy its forces adequately. The Byzantine had to negotiate two narrow passages before reaching the Burgundians so the cavalry were split between a mobile right wing and the remainder would support the infantry effort to engage the enemy. The Hunnic light horse would utilise their speed to reach the rear of the Burgundian line and support the Byzantine attacks with an attack of their own. The battle developed as the Strategos had planned and even the psiloi were able to contain a column of Burgundian tribesmen. The Byzantine left were now successful in breaking the levies that the Strategos gave the signal for the cavalry of the right to attack. The Burgundian tribesmen were able to beat back the cavalry and in an act of desperation to contain a breakthrough on the right, the Burgundian chieftain launched his bodyguard at the skutatoi. Despite a valiant effort the warlord was mortally wounded and carried back to camp. Bereft of their leader, the Burgundians fled the field. Score 4g – 1 Early Byzantine. The Burgundian was forced to deploy in deep columns because of the narrow frontage available. Their hope was to expand their formation as quickly as possible with tribesmen flanking both sides of the shield wall and the cavalry in reserve. The Byzantine moved slowly forward so as to keep an even frontage. The slow approach did offer the Burgundians time to improve their formation. The Burgundian right wing struck first leaving the tribesmen on the left to stare down the approach of the Byzantine cavalry. The Byzantine left now degenerated into a number of individual combats and now it was time for the cavalry to attack. At this point the initiative swung in favour of the Burgundian as they redoubled their effort and broke the Byzantine cavalry attack. Score 6 – 1 Burgundian. The battlefield for the final game afforded both sides ample room to deploy, however, the Burgundian positioned its troops close to camp knowing well the Byzantine frequent use of flanking attacks. Supporting both flanks of the Byzantine infantry the cavalry of the left wing struck the Burgundian line first. Not far behind were the skutatoi and in a few minutes they would add their weight to the conflict. This brought the score even at 2 -2. In the next two turns the situation moved to a critical stage for both sides as the score reached 3 – 3. On the Byzantine left both sides feeling the exhaustion fell back to catch their wind. The situation turned against the Burgundian as half the cavalry force was overpowered by the greater number of Byzantine cavalry. Score 4 -3 Early Byzantine. Historical Match up – Early Byzantine vs. Italian Ostrogoth. There are a few subtle differences between the Lombard and Italian Ostrogoth for one the foot troops are replaced by spear, archers remain (3Bw) but are less in number and the introduction of psiloi which are useful in difficult terrain. This should be an interesting matchup. The battlefield had a minimal amount of terrain features, but their location influenced the battle plans of both sides. The Byzantine were to splitting their force into two wings; one mobile and the other of infantry. The Ostrogoth anticipating this deployed a narrow front of two lines, the first comprised all the Italian infantry and the second held all the mounted force. The infantry battle took place first and here the Byzantine placed most of their effort with the skutatoi and psiloi accounting for a 3 – 0 score. This energised the Ostrogoth nobles into action and they struck the Byzantine cavalry with equal number of units. The effort fell short of the mark as two more units of Ostrogoth cavalry succumb to the Byzantine lance. Score 5 – 0 Early Byzantine. The second engagement found the Ostrogoth deployed in front of two woods. Facing the barbarians the Byzantine formed the infantry on the right and all the mounted on the left. The Ostrogoth moved first and send their skirmishers to quickly occupy the hill flanking the Byzantine left. At that same moment, the Hunnic light horse needled their way between the skirmishers and the Ostrogoth battle line to position themselves in front of their camp. Closing the gap between battle lines the Byzantine was able to form one contiguous front. The Ostrogoth cavalry sent a number of Byzantine cavalry back on their heels but the effort caused no casualties. Within two bounds the Byzantine put their reserves into good use destroying two units and third, their general, killed outright by the Strategos. Score 4+g – 2 Early Byzantine. Defending again the Ostrogoth made minor changes to the terrain features and added a river. From the deployment, the Byzantine were now confined to a narrow defile with hill and wood on either side. The Ostrogoth deployed in one line with the infantry formed on the left and all the mounted deployed in centre with all the skirmishers and a unit of archers extending the right. Half of the Ostrogoth cavalry were given the task of confining the Byzantine cavalry to the defile while the infantry were ordered to seize the hill to support the eventual cavalry assault. Coordinating two separate attacks generally falls flat as the unexpected usually happens; the Byzantines attacked. Any plans that either side had were quickly dispensed with as the battle turned into a tavern brawl. The Byzantine forces beat all opposition in the defile and included the timely arrival of skutatoi beating Ostrogoth knights on a score of even bringing the score 3 – 1 for the Byzantine. In that brief moment of euphoria, the Ostrogoth counter-attacked sweeping the hill of all opposition and in the defile Ostrogoth cavalry cut down an isolated skutatoi to change the tide of battle. Score 4 – 3 Italian Ostrogoth. Historical Match up – Early Byzantine vs. Early Lombard. This was a nice pairing taking place on a parched area in northern Italia. The Early Lombard have a strong cavalry force with an option to increase their number, but for the following matches the warband option was used; including the archers (3Bw) the Lombard would make a worrisome opponent for the Early Byzantine. The Byzantine deployment made use of the fields to cover their flanks; unfortunately the wood proved an inconvenience and so the skutatoi and psiloi were formed up on the slopes of the difficult hill giving the battle lines a half moon shape. The Lombard formed up in an extended line with all their cavalry on the left wing and all the infantry on the right wing. The Lombard cavalry remained in position giving the infantry the opportunity to seize the wood. From that position they could cover the planned cavalry attack. The Byzantine cavalry column on the left found them embroiled in a fight with Lombard warriors and archers. This proved unfortunate as the Lombard got the better of the exchange. This unsettled the Byzantine Strategos as when the Lombard cavalry struck the Byzantine line collapsed. Score 5 – 3 Early Lombard. This time the fields were exchanged for a small hamlet which served as a focal point for the infantry of both sides. Leaving the Herul as a reserve, the entire Byzantine line struck in unison. The effort became effective as the Byzantine sent a number of Lombard recoiling back. On the right, the Lombard warriors were inconvenienced by the hamlet that their deep columns proved ineffectual. Capitalising on the moment (poor pip score for the Lombard) the Byzantine put an end to key units that the Lombard called a general retreat giving the Byzantine a clear victory. Score 4- 1 Early Byzantine. This time the Byzantine used the hamlet to anchor her right wing and the left comprised of all the mounted units. Opposite, the Lombard took advantage of the wood and hill to cover their flanks; deployed further back were the Lombard warriors on the left and nobles on the right. The Lombard moved forward with her left leading in echelon at which the Byzantine responded with a right wheel on the entire battle line. Taking advantage of the slow move forward, the Hunnic light horse made a quick dash toward the Lombard camp. The attempt on the camp forced the Lombard to detach cavalry to deal with the threat. The rest of the Lombard line was now adjusting their lines to conform to the approaching Byzantine cavalry and infantry. The battle settles into a slugging match with the Byzantine cavalry overlapping the Lombard in several locations. The skutatoi have managed to best the Lombard warriors and together with the losses among the mounted nobles and their camp sacked, the Lombard break and retreat from the field. Score 4 + camp – 2 early Byzantine.